In an open letter to gymnasts on Monday, US Olympic Committee chief executive Sarah Hirshland announced her organization’s intent to decertify USA Gymnastics (USAG). This follows a number of governance and leadership missteps following the Larry Nassar scandal that have made the organization appear not only paralyzed but unrelentingly resistant to commit to decisive change. In particular, despite completely replacing the board, the organization has chosen and lost three leaders in the past year, one of whom has admitted to having Nassar’s files removed from the Karolyi Ranch training center. The files have since disappeared. Nassar, who was over many years the team physician for USAG, has been accused of sexual assault by more than 265 women and girls. Among them are Olympic gymnasts, including Simone Biles, Aly Raisman, McKayla Maroney, Gabby Douglas, and Jordyn Wieber, who have accused Nassar of molesting them at the former national team training center in Texas and at international competitions, including the Olympics. Some of these high-profile athletes have made it their business to help create a safe environment for others now coming up in the rigorous sport, often tweeting or testifying by other means about the lack of progress they see at the organization. The decertifying measure is considered a “nuclear option,” and has been used very rarely. John Manly, attorney for more than 100 Nassar victims, including Raisman, called the USOC’s move “long overdue” saying that the timing was tougher for being so delayed. The one concern that we have is, if this had been done long ago, when it should have been done, it wouldn’t put the currently competing athletes in a difficult spot. The Olympics are less than a year and a half away, and our clients are concerned about it. But getting rid of the USAG and its current leadership team means that children will be safer. 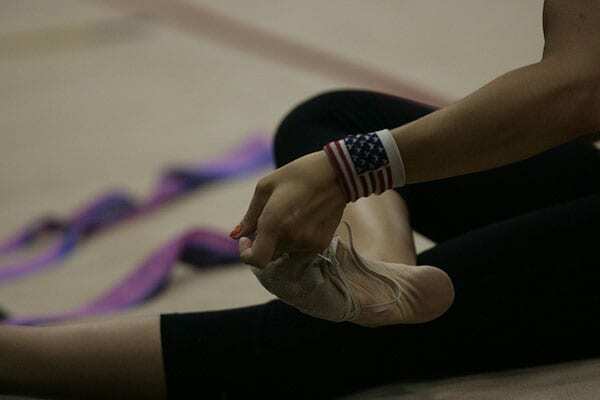 Washington Post sports columnist Sally Jenkins wholeheartedly agrees that gymnasts deserved more from USAG, and that the action taken comes very late considering the enormity of the lapse of care. But she also thinks the same can be said for USOG, now stepping in as savior. Forget “decertification.” Not until we have a thorough and transparent examination of the entire USOC can it be trusted to rebuild anything in a trustworthy way. We’ll know the USOC is serious about cleaning up the scourge of sexual abuse when it voluntarily shares its internal communications about the Nassar matter and other abuse cases with the public.